Imaging101 provides affordable, yet powerful, document imaging solutions and services for business. Imaging101 makes companies stronger by enabling them to solve their most critical business challenges; controlling, securing and managing documents and files. Imaging101 offers collaborative departmental and enterprise software as well as consulting, education and technical support services. Specializes in the design and development of data and image capture products for the document management industry. The company prides itself on providing reliable, high-performance software programs and custom integration solutions that enable paper-intensive organizations to streamline their document capture processes. Dedicated to helping companies automate and manage the flow of information between their internal business processes and external business partners by providing world-class Workflow, eCommerce and Document Imaging software and services. They all consist of a proper mix of various products and services. And their full benefits are achieved when integrated properly with existing Line Of Business (LOB) applications. 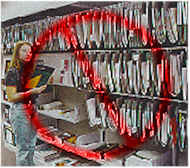 Essentially, the concept is to convert paper documents and computer printed reports into electronic format then store them in a central location in secure media such as Optical Discs, CD-ROMs or Magnetic Disks. 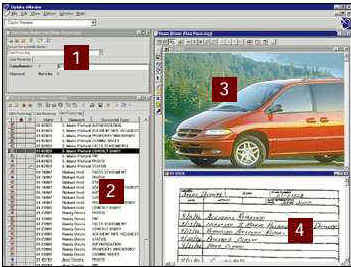 Documents and files created with word-processing, spreadsheet and other applications can also be stored and archived. Even electronic data interchange (EDI) transactions can be converted into human-readable format and stored. These electronic documents are now available for retrieval with just a few keystrokes or mouse clicks on your personal computer without leaving your desk. These electronic versions of documents can also be sent or routed to other individuals or groups for further processing. Companies are installing these systems to increase their competitive advantage, increase productivity, provide document control, reduce paper handling, provide disaster recovery, reduce document archive space and minimize document storage redundancies. For more details please visit our Solutions page. How Do We Justify the Cost? Each of the following technologies, individually or in combination, can provide a very quick return on investment (ROI) or payback for your company. This quick return is achieved by savings in hard-costs such as on paper, microfilm/microfiche, storage, real estate, employees, employee benefits. Some of the major benefits replace and minimize soft-costs. For example, how do you put a price on such items as customer service improvements, higher production, timelier transactions and others that translate into customer and vendor satisfaction and goodwill, customer and vendor loyalty, employee satisfaction and more. We describe the many soft benefits achieved in other sections of this site such as our Solutions page.